Sunday is Father’s Day, and like every Father’s Day for the last twenty-four years, it’s a tough day for my family. My dad was way too young when he passed—only in his fifties. His illness seemed to hit him suddenly and without warning, and then it proceeded to ravage his body. Six months later, he was gone, and my mom and I were left wondering how we were going to survive—two women alone in the world. No uncles, brothers, cousins. No men at all. To say we were unprepared would be an understatement, yet somehow, we survived. My life went on, and I started my own family, but my mom never remarried. Through the years, I’ve tried to keep Father’s Day low-key for her sake. However, this year I feel like having a full-blown celebration. Maybe it’s because I thought I caught a whiff of my dad’s cologne the other day when I was in his favorite room, and I took that as a sign that it was time to convince my mom to celebrate his life on Sunday, instead of remembering the tragedy of his death. So I made reservations at a nice restaurant, and I’m happy to say that she’s agreed to come. We’ll have a chance to celebrate the love and laughter my father gave us while he was alive, which is what the day is all about. Everyone honors the special men in their lives differently on Father’s Day. What do you do for yours? USA Today bestselling author Raine English writes sweet small-town contemporary romance, along with steamier paranormal and Gothic romantic suspense. She’s a Daphne du Maurier Award winner and a Golden Heart finalist. 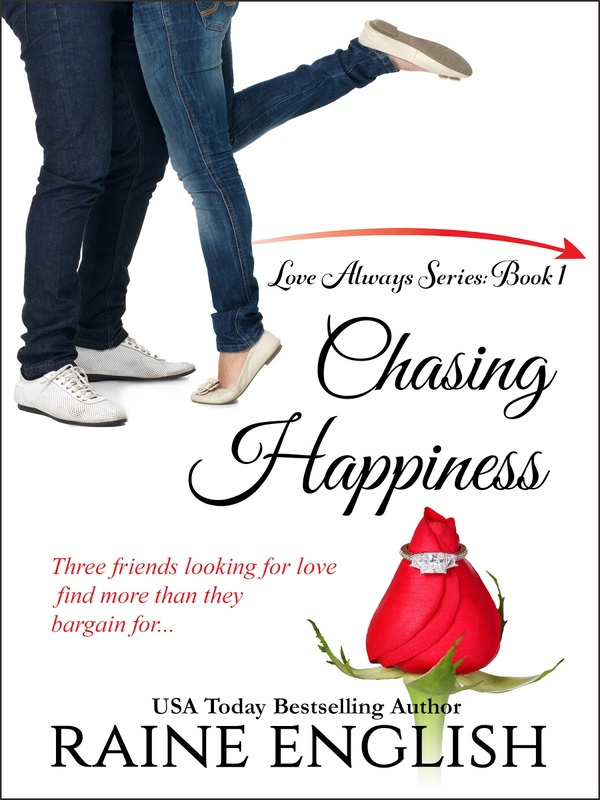 CHASING HAPPINESS, book one in the new sweet series, Love Always, will be available at the end of June. It features three childhood friends who encounter a lot more than anticipated while searching for love. To receive information on it and all her new releases, you can sign up for her newsletter, like her on Facebook, and follow her on Twitter. What a beautiful way to celebrate his life! I lost my dad over 30 years ago, so I've pretty much ignored the holiday, too. I think you're smart to break the old habit. Thanks, Aileen. I'm sure Sunday will be a really nice day. Raine, you have a lovely idea to celebrate your father's life. I lost my father when I was 24. He was also in his fifties. 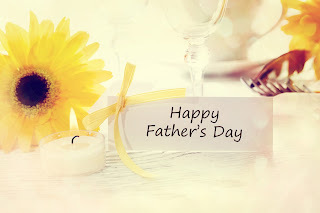 So for many years father's day came and went until I married and celebrated my father-in-law and then my husband after we had children. We lost my father-in-law a dozen years later. Now we celebrate with my husband and son-in-law. Our two daughters were born on June 18 a year apart, and their birthday falls on Father's Day every few years, so we combine the celebrations. What a beautiful way to celebrate your father's life.My husband lost his father at an early age, and his mother a year or two ago. I'm happy he has kids to focus on during this time.